New Orleans' historic district, the French Quarter, is located in a higher section of the city, allowing it to escape devastation from Hurricane Katrina. 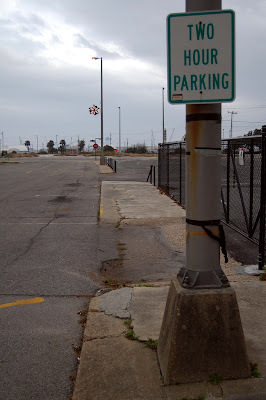 The old town in Gulfport, Miss., however, above, sat near the beach and was inundated with water and pounded with wind. 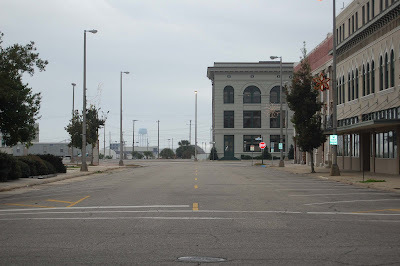 Few cars were parked along the downtown roads when I visited, and I did not see another pedestrian. It's a ghost town. Video: This is taken from a vehicle driving on Route 90 between Gulfport and Biloxi, Miss. It shows many empty lots where homes once stood and a few construction projects. By contrast, in New Orleans, the decrepit buildings remain standing. Seventy-nine miles east of New Orleans, Gulfport, Mississippi's second largest city, suffered some of the worst damage of Hurricane Katrina. The storm was on track for a direct hit to the Big Easy before it shifted slightly to the east and made landfall on Monday morning, Aug. 30, 2005. Considering the damage New Orleans suffered, it's amazing that residents there considered their town to have largely lucked out. 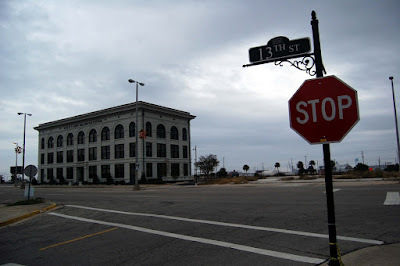 "We dodged a bullet," said Carole Stauber, Gray Line's guide for the still-controversial Hurricane Katrina tour. On Mississippi's Gulf Coast, the devastation is just as apparent at it is in New Orleans and its surrounding parishes. Storm surge in some areas of Mississippi reached 28 feet and traveled six miles inland. 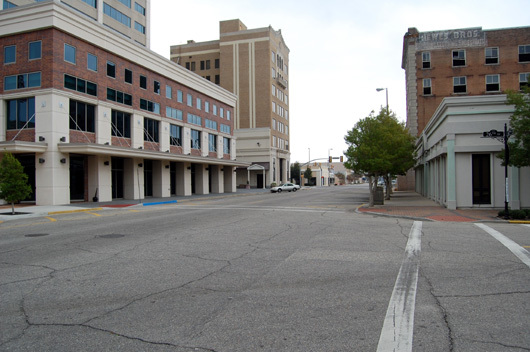 I started in Gulfport and drove down Route 90 to Biloxi, another hard-hit city. But there is a key difference here: It seems that Mississippi has done a better job of moving on, of either tearing down and rebuilding, or of just tearing down. 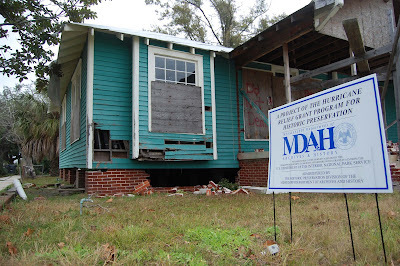 In New Orleans, homes damaged beyond repair still stand, empty. Their former owners have moved on and have started new lives elsewhere. 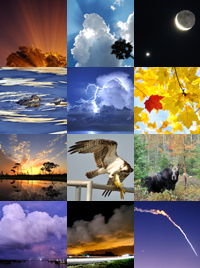 Some are dead. 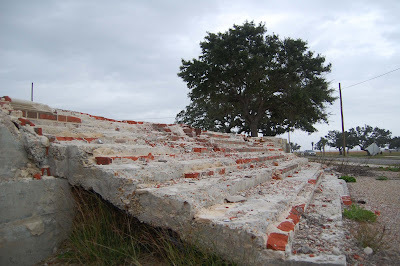 In Gulfport, where large homes of the Mississippi elite once stood along the coastal Route 90, land lots contain only weathered, crumbling concrete foundations and steps, both above. Most homes have been torn down. 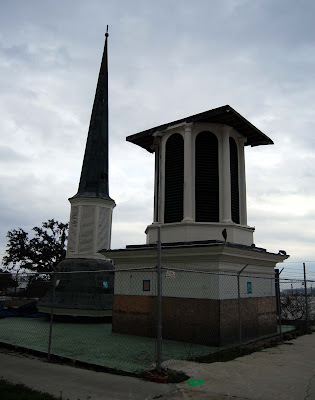 All that remains of the First Presbyterian Church of Gulfport is the steeple, in two pieces, above, resting next to the church's old foundation. The church became known for the 6-foot alligator that was found in the sanctuary after Katrina. 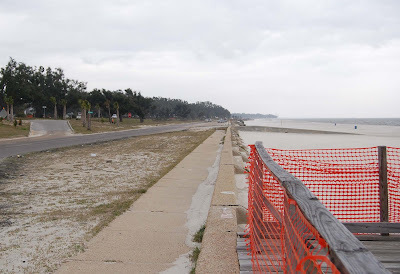 Gulfport's historic district is a seaside community, where a tiny concrete wall, Route 90 and a low mound of dirt separate homes from the Gulf of Mexico, above. Sand blows from the beach and over the highways. For a Northerner, it reminds me of white snow wisping across the road. 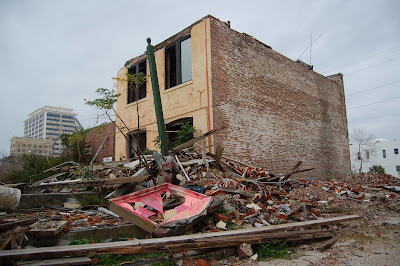 While most buildings have been razed, the exceptions include a historic home that has been targeted for restoration, above. 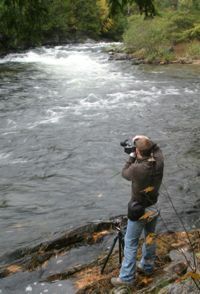 By the looks of it, that promises to be a very tall task. There are holes in the roof. The foundation seems unsteady. And the boards on the house still bear the markings of rescuers who came to check if anyone was inside. Like New Orleans, there are some buildings left empty. 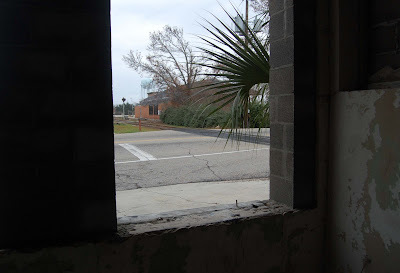 But they are mostly old office buildings, brick and concrete block structures that have been gutted. Their foundations are still strong, so they're being renovated. While New Orleans' historic district, the French Quarter, survived the storm, Gulfport's has been left an eerie sight. It looks like something straight out of a Western movie. It's a ghost town, above. The black street signs are made of wrought iron - very classy, above. But they look out of place and like a waste of money in a now-barren urban area. Parking signs say "TWO HOUR PARKING," above, but somehow, I don't think it would be enforced if you were to park there for six hours. The only vehicles along these streets are parked in front of a bistro and the post office, which have been restored. Signs on a boarded-up pizza shop promise that Tony's Brick Oven Pizzeria is "coming soon." 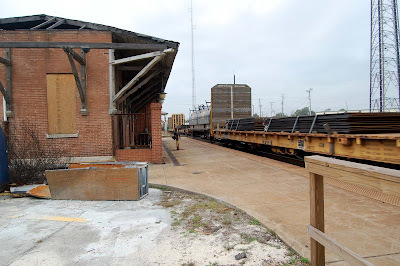 A train station stands just off what used to be the main thoroughfare through the historic part of town. But judging from the damage, I doubt the train ever stops there. 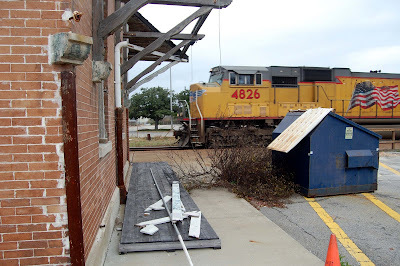 Indeed, when I was photographing the station, the train continued to chug forward, above. Stoplights and crosswalks are almost pointless: There are hardly any cars on the road or people on the sidewalks. I wonder if anyone buys any newspapers from the boxes on the sidewalk. 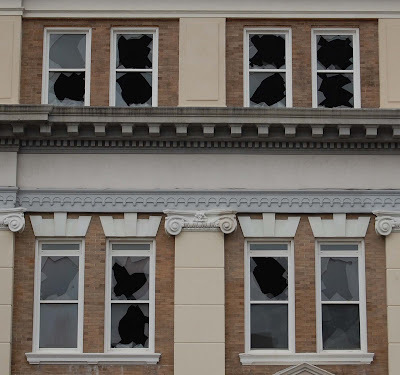 Many buildings look like they're in good shape, but the windows are shattered, above, and the insides are empty. 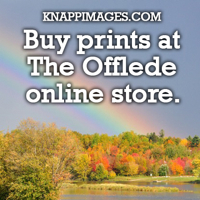 Most of the buildings are for sale. On some, the doors and first-story windows are missing so that you could walk inside. I didn't see any "no trespassing" signs, so I walked through, above. Some buildings are exceptions to the torn-down rule. They don't seem reparable and don't have signs on them indicating a restoration effort is under way or that a sale is possible. They're surrounded by piles of rubble, above. 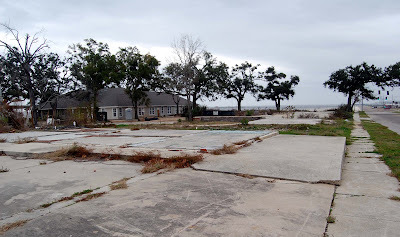 You could never get the feeling of emptiness and of hurt for the people who suffered during and after Hurricane Katrina, unless you visit the Gulf Coasts of Mississippi and Louisiana. Television, newspapers and this blog can't convey the extent of destruction and the deep pain the storm has caused in these communities. Empty buildings have left me empty, too.